I hinted the other day when I promoted the LP&Q offer that I had a couple of Liberty projects coming up. 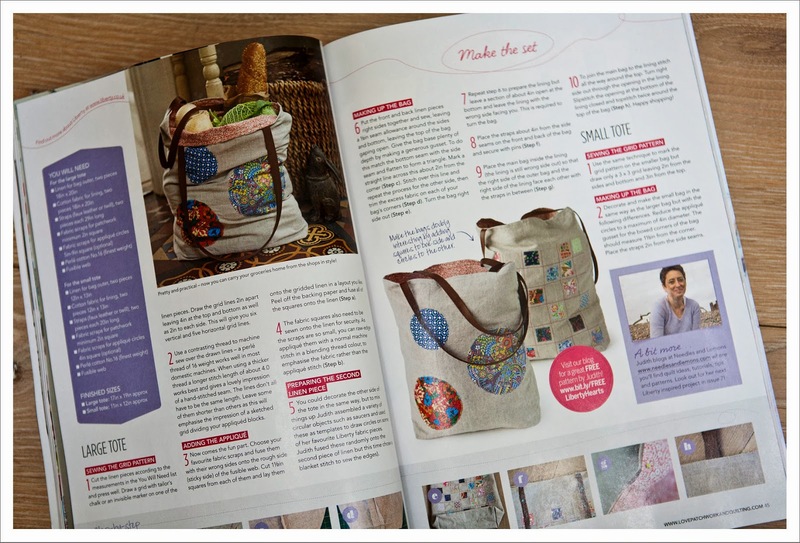 Over the next three editions and starting with the current edition of the magazine (that would be issue 6) I will showcase the two last Liberty quilting weight fabric collections 'Bloomsbury' and 'Stile' combined with linen, flannel, denim and leather. For issue 6 I made 2 Liberty shoppers; one large and one small and I thought these might be cute for a mother and daughter. They are fun to make and not too difficult and above all not only practical but two real stunners (in my humble opinion) that will make everybody else who has just got the box standard Sainsbury bag green with envy (or shall I say orange)! 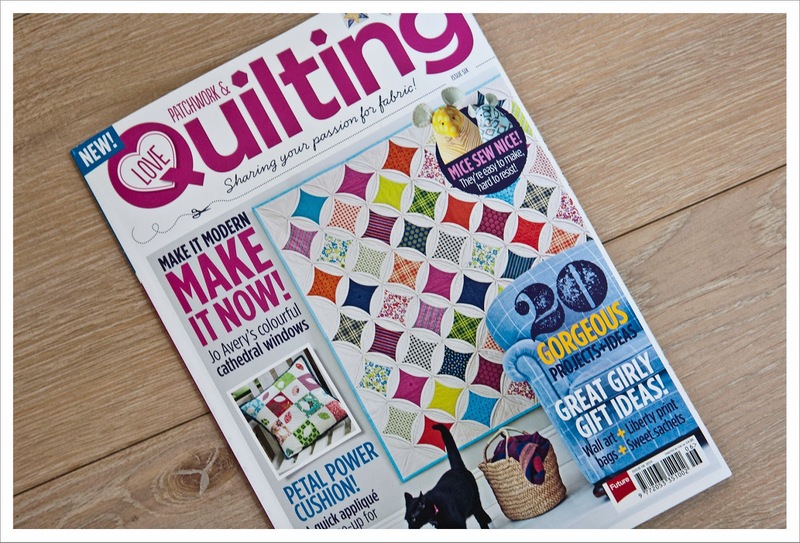 In addition the magazine has this gorgeous cathedral window quilt by Jo Avery from mybearpaw and many more wonderful projects. I love fabric shoppers and only use this kind. I am glad to hear we have some more Liberty loveliness to look forward to too. 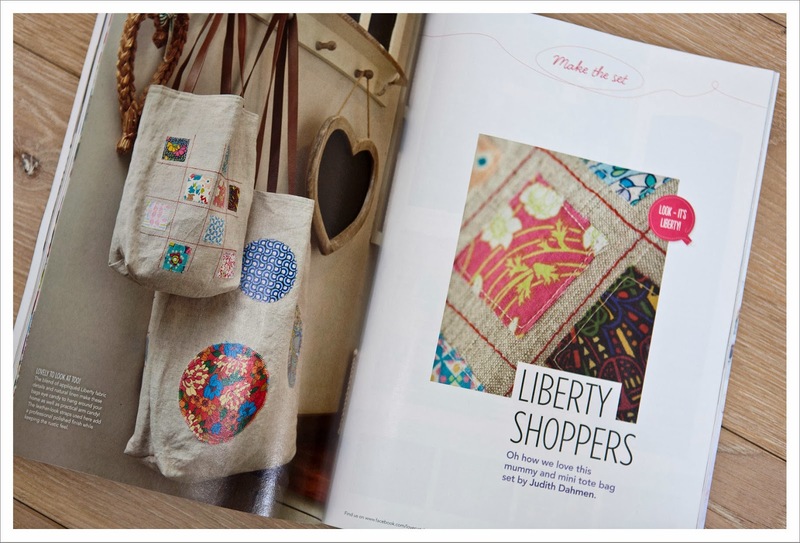 Liberty + Linen = instant happy fabric gratification in my book!